BRISTOL SHOW 2012: Don't miss the What Hi-Fi? Sound and Vision ultra-HD demo! | What Hi-Fi? BRISTOL SHOW 2012: Don't miss the What Hi-Fi? Sound and Vision ultra-HD demo! 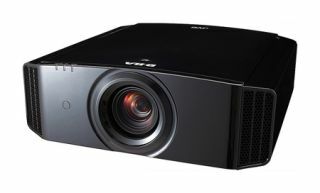 JVC's DLA-X90R ultra-HD projector will be the centrepiece of our Bristol Show demo - don't miss it! This year's Bristol Sound & Vision Show, which opens at 10am today, is set to be one of the best yet, with a rash of new product launches, competitions and of course the not-to-be-missed What Hi-Fi? Sound and Vision demo. Join us in the Bristol Suite in the Marriott Hotel this coming weekend and you'll get your first chance to see JVC's flagship £9600 DLA-X90R ultra-HD projector in action, upscaling 1080p Blu-ray images to near-4K resolution. We're busy fine-tuning the system right now. We'll be using it with no fewer than 11 – that's right 11 – PMC Wafer on-wall speakers, three passive PMC XB3 subwoofers and Onkyo, Bryston, Marantz and Denon electronics. The on-wall speakers will be driven by an Onkyo TX-NR5009 home cinema receiver (£2700) and Onkyo PA-MC5500 (£1800) power amp, the subwoofers by Bryston 7B SST power amps (£4925 each), and for Blu-ray playback we'll have the Marantz UD7006 (£550) and Denon DBP-2012UD (£500). Ultra high-resolution (3840 x 2160) images will be projected on to a giant 104in OS screen and we'll have a selection of music and film clips for you to enjoy. That's not all. Don't forget we've got £10,000 worth of fabulous kit to give away in our show competition (entry forms on the stand), and the entire What Hi-Fi? Sound and Vision team will be available to answer your hi-fi and home cinema queries. Check out all the forthcoming product launches at the show in our preview blog, and remember you can download the show app for your Android or iOS smartphone. Oh, and if you book your tickets online now you'll save 10%.